We are pleased to announce that EDGE are working with the Parkinson Partnership who will offer accountancy advice to our Local Council clients. As an accountant with 30 years’ experience in the public sector and 14 years’ service as a Town Clerk, Steve Parkinson is able to assist all sizes of Local Councils and he specialises in providing advice on VAT, capital receipts, PWLB loans, charities and trusts. 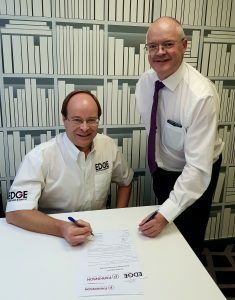 This agreement with the Parkinson Partnership complements EDGE’s agreement with DCK Accounting Solutions who provide a full range of accountancy solutions especially for larger Local Councils.